A unique, multi-functional system, the AZTEK is a simple and versatile tool for mechanical advantage rigging. 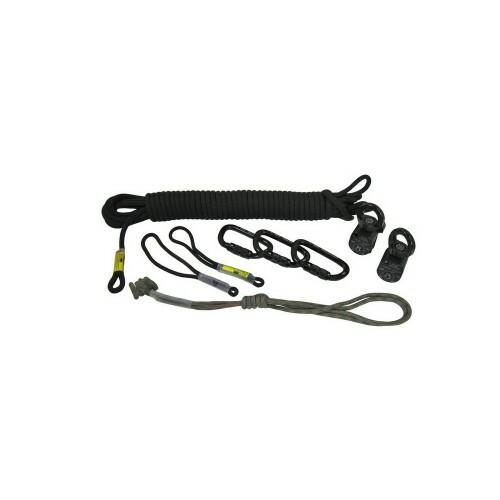 The system has numerous uses, including as an adjustable high directional for a belay line, pickoffs and aerial rescue, for litter scoop rigging and attendant tether, among others. The opposite end of the rope functions as an individual edge restraint system utilizing the included travel restraint. The AZTEK Omni Block pulleys keep loads oriented correctly when tensioned. Please note, the tactical version does not include a carry bag.